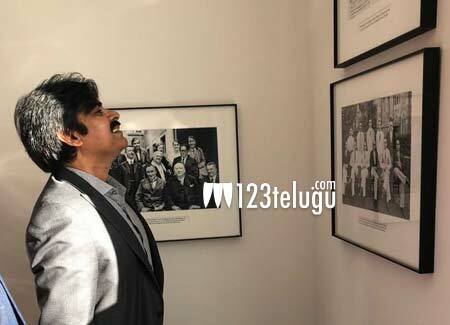 Film star and Janasena Party President Pawan Kalyan is currently visiting London to receive the Indo-European Business Forum Excellence (IEBF) Award and also take part in a few seminars. Earlier today, Pawan visited the Ambedkar Memorial House in London and paid rich tributes to the chief architect of the Indian constitution. Tonight at 8:30 pm Indian Standard Time, Pawan will take part in a seminar in which he will discuss the possibilities of “investing in India”. The seminar will be held at the Westminster Porticullis House of Parliament. And then, Pawan will participate in a grand ceremony in which he will receive the IEBF Excellence award. Fans can catch this ceremony live on Facebook from 12 am tonight till 4 am tomorrow.